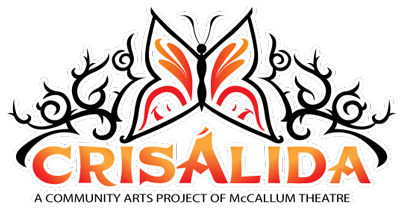 Crisálida: Community Arts Project | THE CRISALIDA VAN! 23 Dec THE CRISALIDA VAN! On Friday the 19th of December the Crisalida team took its first step in acquiring the long awaited Crisalida Art’s van. That friday I had the opportunity to drive out to the LA area to make the purchase of the van on behalf of the Crisalida team and also pick up the vehicle registration from Amy Bertram, the former owner of the van. For some time now the team has speculated what may be possible with a mobile Crisalida van. Such projects as a mobile art studio where team members may give art workshops, art exhibitions, movie screenings, listening projects, and countless other ideas have been in the Crisalida thinkshop for some time. Now with the acquisition of the Crisalida van it is only a matter of time before the team has the opportunity to get their feet in the water and actualize some of these projects.